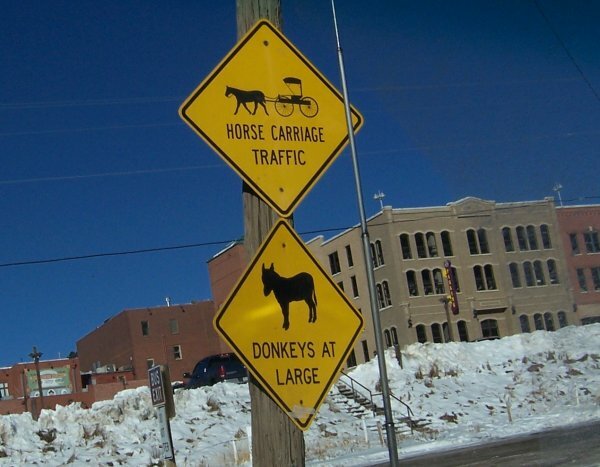 Meyers Avenue, Cripple Creek, below, circa 2008. I lived in Divide, Colorado, until 1994. Then, in rapid succession, I moved to Boulder County, discovered Ireland and left in a hurry. I still bank in Cripple Creek. Recently, one of my sons picked us up an old mining claim with no gold, but with a grand view, funnily enough, near Grandview, Colorado, but actually in Gillette, Colorado, which is, in turn, in the mountains above Cripple Creek. Gillette has the only airport in the area. At almost 11,000 feet above sea level, if you don't know what STOL means, stay away. 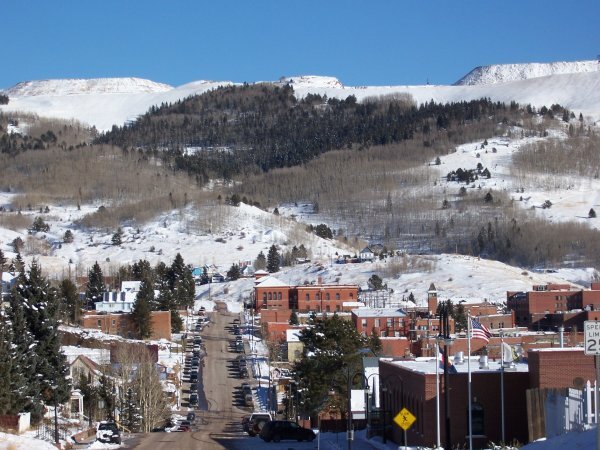 Bennett Avenue, Cripple Creek, below, circa 2007. We'll build something on the old claim, someday. In the meantime, the old mine shack is a fun place to "live rough" on weekends.